It's a degree beyond the book itself. I was referring to your website name hosting those images. Birth of N scale - Birth of Venus. Progress on the layout. Modest, but progress nonetheless. 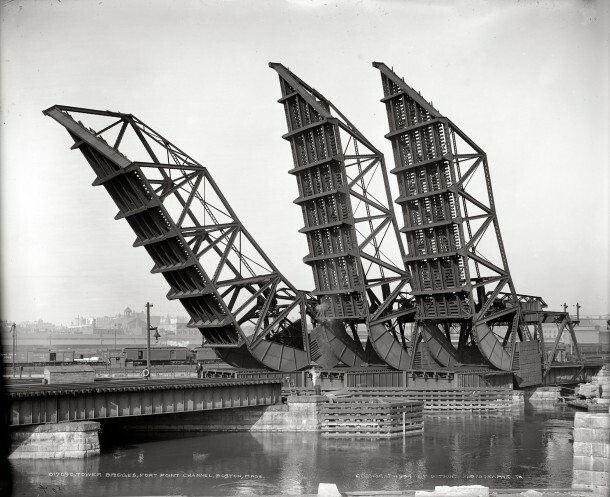 Went to work on the rolling lift bridge. No hope of finding an original drive motor for one of these (wouldn't want one anyway--they're godawful noisy). Made a new drive from a piece of 1970s tech: a remote control volume drive. Back then, when you adjusted the volume from the remote, a motor turned the volume knob on the receiver. Strange but true (freaks out the young-uns who have never seen such a thing). I had a couple of these drives in my scavenged obsolete tech drawer, and used one for the bridge. It's perfect: a double-worm drive makes it nice and slow, it runs on 3 volts, and it's virtually silent. I just coupled the kit's original crank to the potentiometer shaft with some telescoping K&S tubing, and Bob's your uncle. Next is the bridge itself. Should have some more posts to make before the weekend is up. I want one. The drive, I mean. Made a new drive from a piece of 1970s tech: a remote control volume drive. Back then, when you adjusted the volume from the remote, a motor turned the volume knob on the receiver. Strange but true (freaks out the young-uns who have never seen such a thing). Very clever. That mechanism also has a clutch (for when the volume knob is adjusted manually). I don't seem to recall remote-controller volume knobs in the '70s. However I have a small JVC compact stereo system which has one of these remote-controller volume knobs. But that system is from either late '90s so or early 21st Century. Go to eBay and search for motorized potentiometer - lots of them are available. Or do the same on Google. I remember those - no more. Well, 2 bridges remain, but I don't think they ever raise. That entire area is so different now. Yes, the clutch is excellent for model animation as well, since it can prevent damage to the model. As for the era, I may be remembering it wrong. 80s to late 90s, probably, but I kinda don't think the early 2000s--electronic systems had taken over by then, surely. 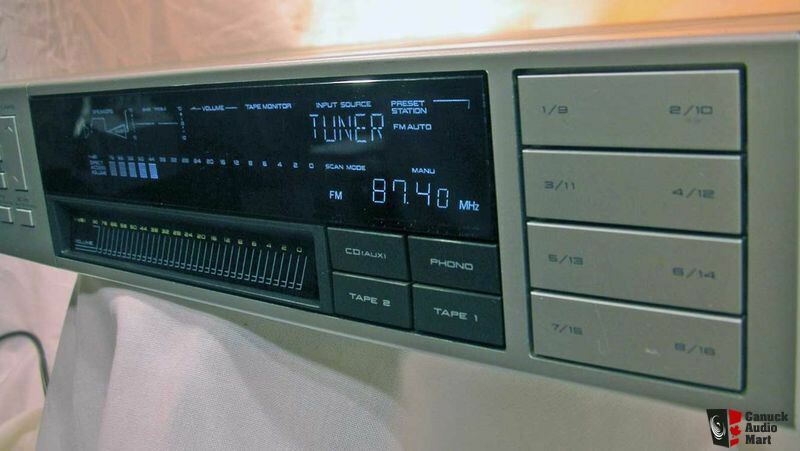 In fact, I had an 80s receiver that had already graduated to electronic volume control. Well, whatever. It's old tech that's useful for modern modelers. But an analog motorized potentiometer is a gimmick which can be embraced by purists - the analog audio signal is fed through an old-school potentiometer, not some electronic solid-state attenuator. BTW, I Also have '80s component stereo system (AKAI) with Vacuum Flouorectent "computerized" display, and no knobs. All the adjustments are done via push panels. I also owned another AKAI receiver which had a similar volume control "bar". Touching anywhere on that bar would gradually bring the volume to the appropriate level. I take partial credit for the miracle bridge drive because I pulled said potentiometer out of the electronics parts drawer and asked what it was. If it hadn't been for my rampant curiosity DKS may never have arrived at this solution. > getting to watch the creative process as it happens. Quite true on all accounts! Especially Morgan. (Don't ask.) Cody was witness to the entire process from beginning to end. Kinda scary, huh?